The Canadian musician pipped K-pop sensations BTS and British star Ed Sheeran to the award handed out by the IFPI (International Federation of the Phonographic Industry), the organisation that represents the recorded music industry around the world. He is the only artist to win the title more than once, the first being in 2016, and it comes after the success of his fifth album Scorpion, which included hits God’s Plan and In My Feelings and was the first album to reach one billion streams across all platforms worldwide. The album reached number one in 92 countries, according to Apple Music, while the single God’s Plan, released before the album came out, broke first-day streaming records on Spotify and Apple with more than 14 million streams. BTS came second on the list of top 10 global recording artists of last year, with Sheeran third, Post Malone fourth and Eminem fifth. Queen, Imagine Dragons, Ariana Grande, Lady Gaga and Bruno Mars fill out the rest of the top 10. Previous winners include Sheeran in 2017, Drake’s first win in 2016, Adele in 2015, Taylor Swift in 2014 and One Direction in 2013. The accolade reflects an artist’s worldwide success across digital and physical music formats, from streams to vinyl. Frances Moore, chief executive of IFPI, said: “Drake has had an incredible, record-breaking year, one that is more than worthy of the title of global recording artist of the year. 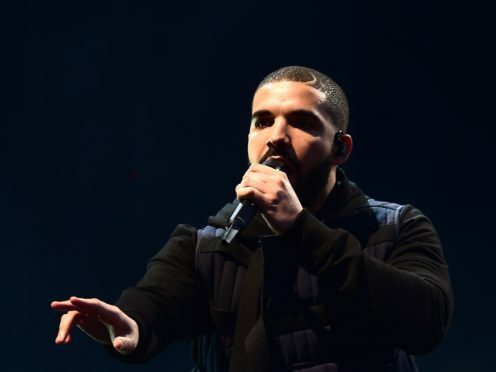 “That Drake has won this award for the second time is testament to his continued global appeal and his ability to engage and connect with fans.